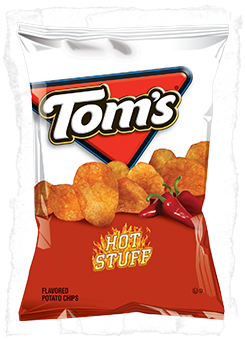 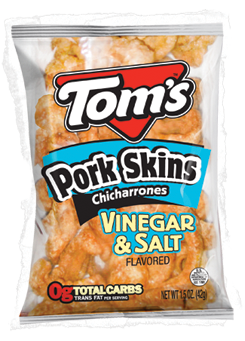 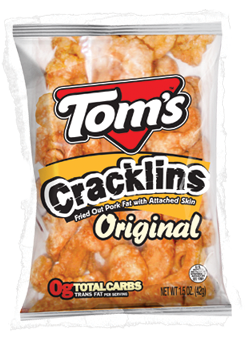 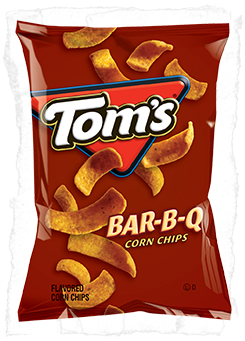 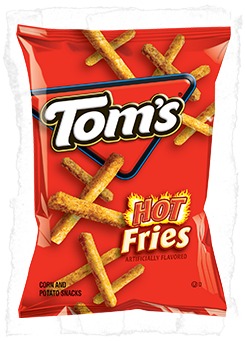 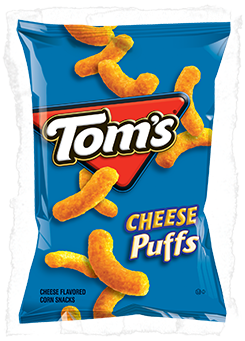 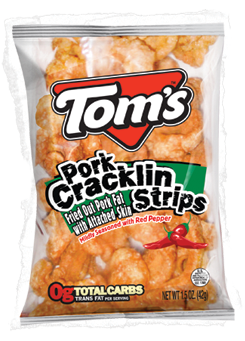 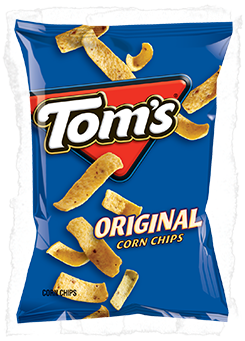 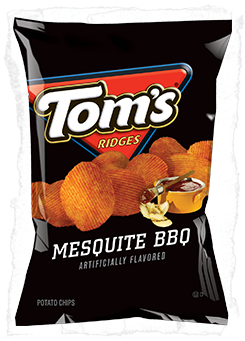 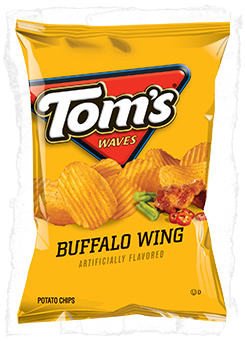 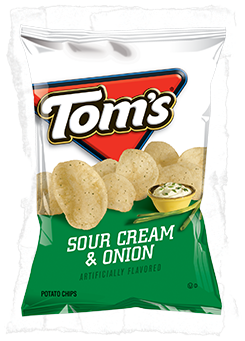 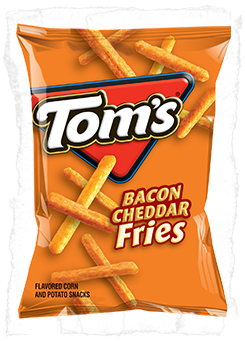 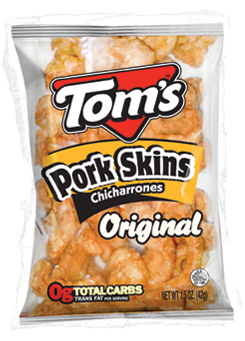 Tom’s Snacks was founded in Columbus, Georgia in 1925, when a young mechanical inventor named Tom Huston received peanuts from farmers in payment for some of his mechanical inventions. Huston designed a mechanical peanut sheller and a roasting process for shelled peanuts. 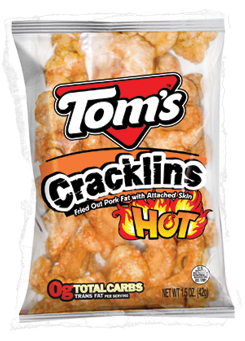 He then put the roasted peanuts into a narrow cellophane package. 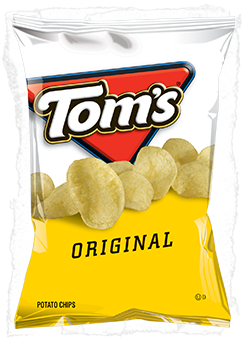 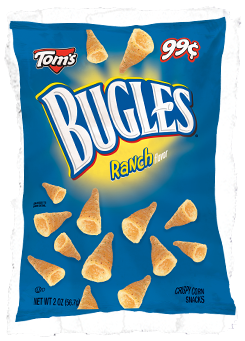 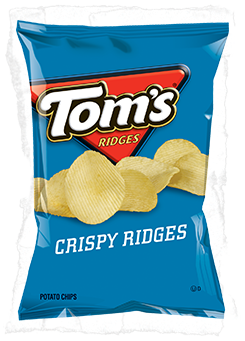 A year later Tom’s cellophane package was patented and was marked with a triangular label that read “Tom’s Toasted Peanuts.” The triangular Tom’s logo remains with us today. 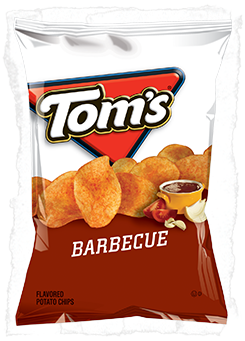 Despite the company's growth, another of Tom’s ventures experienced difficulties which led to the young entrepreneur to lose his peanut company. 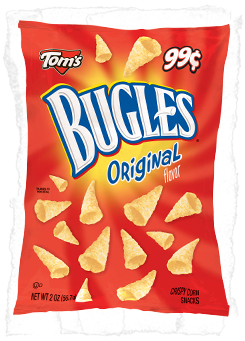 The bank made Walter Richards president of the company, where he remained until 1966 when General Mills acquired the company. 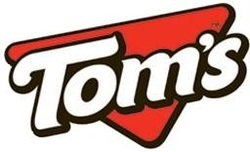 In 1983, British company Rowntree-Mackinstosh, took the company over until it sold it on to local investors five years later. 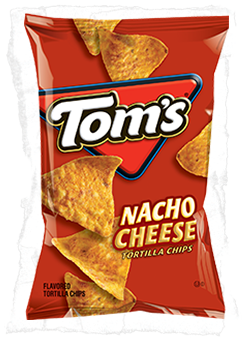 A further eight years later, Heico Acquisitions took Tom’s over and operated it until 2005, when current owners Lance, Inc., acquired the company. 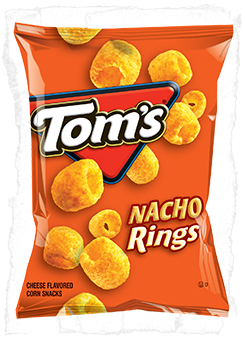 of a wide range of snack food, including popcorn, sandwich crackers, cookies, cakes, nuts, beef jerky and candy, has taken the company on to another level. 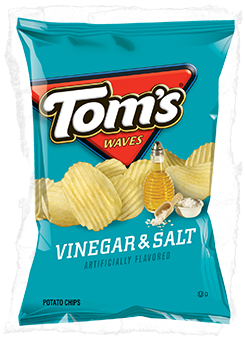 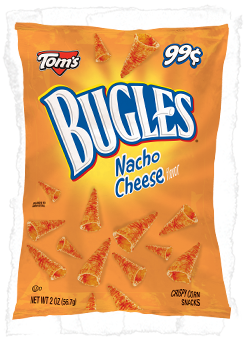 Eighty years after the company was originally founded, the triangular logo that once stood for great peanuts now stands for quality Potato Chips, Pork Skins, Corn Chips and much more.